The cryptocurrency market recovery was just a short recover, Today the crypto markets record another pulback pushing Bitcoin to Be traded around 8500 USD, after reaching 9000 USD yesterday, the others top 10 crypto markets have also record some decline in the price .Ripple »Xrp’‘ decline from 1.1 USD to 0.98 USD, Ethereum from 860 USD TO 840 USD, Bitcoin cash from 1350 USD to 1237 USD, Neo from 119 USD to 113 USD . This market correction is caused by the fud of a ban of crypto currency in some country in the world, witch is not real . 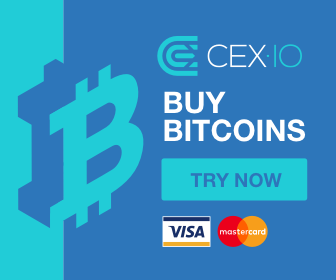 Fundmental : Notably, Wednesday marks the expiration date for CBOE’s February Bitcoin futures contract, so traders should keep an eye on that index as the day progresses, this is the first cause of the pullbak in the price of bitcoin . Bitcoin needs to break $9500 for it to turn bullish, and that is the third time in 2 weeks that bitcoin fail to break the resistance level of 9000 USD, this maybe means that we will see another price correction more deep around 7000 USD to 7500 USD, before we see another uptrend movement, but there is a chance that bitcoin break the resistance level of 9500 USD on friday after the expiration of CBOE’s futures . If the price fall Below 800 USD, this means that there is a bearish movement that will happen on the Ethereum Chart and then we will see the price around 778 USD, then 739 USD . If the price break the resistance level of 921 USD, then this means that there another bullish movement that will start on the ethereum chart, the next target are 1000 USD, then 1200 USD . But this levels right now from 800 USD to 870 USD, are good entry point for a lon term on Ethereum . Litecoin could be the next coin that will move , because there some updates the next week and the 3 week of this month . i advice you if yo have buy from 120 USD to 140 USD, to wait until the 3 week to sell, because the news of litepay could make this coin move to reach a new all time high price . Also keep your eyes and invest in ETC, because there is a hardfork on ETC on 05/03/2018, and also try to hold Monero because there is a Hardfork on XMR on 07/03/2018 .